I love it when these sister brands join up for a sale. For the next couple days you can save 30% at Gap, Banana Republic and Old Navy. What are you looking for? Pumping up that summer outfit? Getting a new autumn wardrobe? Back-to-school shopping for the kids? Just need a new pair of jeans? I need to do all of the above, personally. Spend $50 or more at any of the stores and get FREE shipping. And since there's an actual store in pretty much every major town you can send back returns in person. 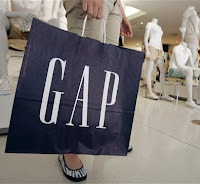 Click here to go to Gap and shop. At the top you can click on the tabs to visit the other stores and make your purchase. Just enter code EVERYONE at checkout.